BEAUTIFUL NEW CONSTRUCTION GREAT ROOM CONDO. 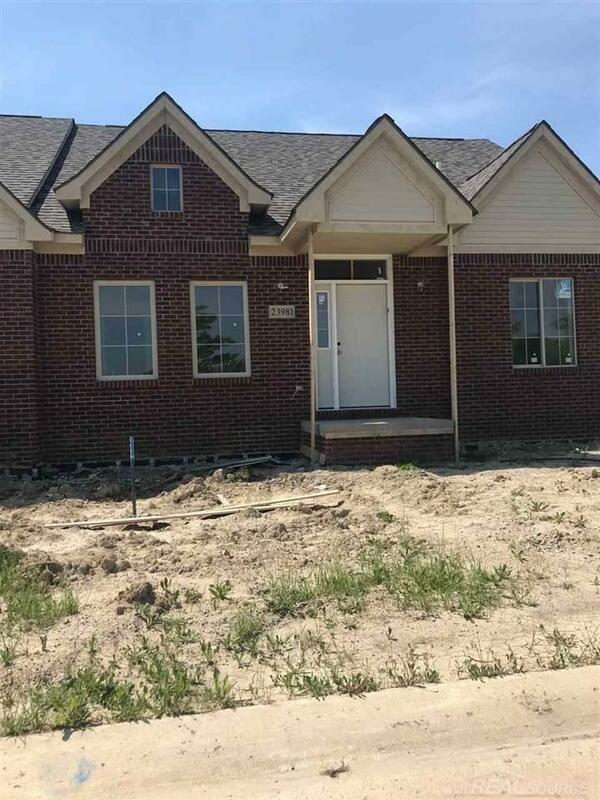 OPEN FLOOR PLAN WITH 2-CAR ATTACHED GARAGE, FULL BASEMENT, 2 BEDROOMS, 2/5 BATHS, FIRST FLOOR LAUNDRY, WHITE PAINTED BIRCH CABINETS, GRANITE AND STANDARD VINYL PLANK FLOORING IN KITCHEN, FOYER, LAUNDRY AND 1/2 BATHS. LANDSCAPED WITH PATIO AND ALARM! STILL TIME TO CHOOSE COLORS. IMMEDIATE OCCUPANCY. ONE YEAR BUILDER WARRANTY. A MUST SEE!